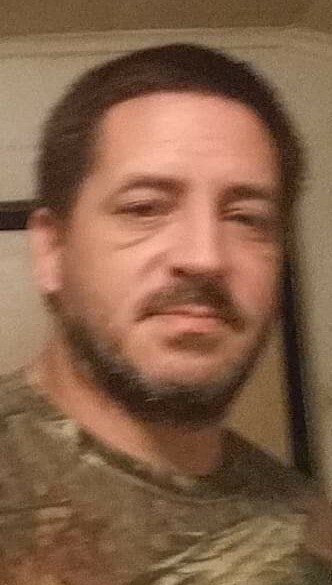 Heath Michael Lawrence, 45, of Port Allegany, passed away Saturday, January 12, 2019, at UPMC Hamot, in Erie. Born on September 1, 1973 in Arcade NY, he was a son of Greg Place and the late Linda Lawrence. He was a graduate of Port Allegany High School, class of 1991, than enlisted in the United States Army and discharged in 1993. Heath married Neldora (Holden) Lawrence on July 15, 2011 in Bradford, who survives. He was always doing something from riding dirt bikes and atv's, playing with his RC cars, or flying his drones. Heath was a great father, husband, and friend. He did what he could to help others by lending a hand or just listening. Surviving in addition to his father, are two daughters, Skylyn (Chris Armstrong) Lawrence, of Ludlow, Heather (Tucker Morgan) Lawrence, of Port Allegany, two sons, Josh Lawrence, and Gregg Lawrence, both of Port Allegany, three step sons, Kenny Parris, of Port Allegany, Donny Parris, of Smethport, and Chris (Amber McGonigle) Bell, of Salamanca, NY, five sisters, Nicole Crowley, of NY, Lynn Place, of FL; Michelle Lycett, of NY, Jenna Flading, of NY, and Cheline Lawrence, of St. Mary's, two step grandchildren Payton Parris and Avery Darrah, and several nieces and nephews. He is also survived by best friend John Osborne. He was preceded in death by his mother, Linda Lawrence, paternal grandmother, Hazel Lawrence, and one uncle Phil Lawrence. Funeral arrangements are under the direction of the Hollenbeck-Cahill Funeral Home, Inc.
Heath was a dear friend that was also an admin in my drone Facebook group. Though I never met him in real life we still chatted everyday. He was always happy to help anyone! I still can''t believe he is gone. It will not be the same without him. Heath was always a honest person that anyone could open up to. He was a big part of the online RC community and was willing to help out any of us in any way that he could. He was a very good friend to all of us. We all miss him very dearly. Condolences to his family. Heath was a former coworker of mine and spent quite a few times at our old house when I needed help with my computers. He was always willing to help and was always a great person to be around. Hearing of his untimely passing makes me very sad. I will always remember him fondly. My prayers are with his wife and family.